Entering SG’s F&B scene: Are international brands biting off more than they can chew? International F&B outlets seem to be eyeing the Singapore market with the entry of brands such as Impossible Foods (owners of the famous Impossible Burger), Shake Shack, bubble tea firm Tiger Sugar and now The Alley. Being a nation of foodies, their entries into the market made headlines locally as mainstream and online sites carried the news. 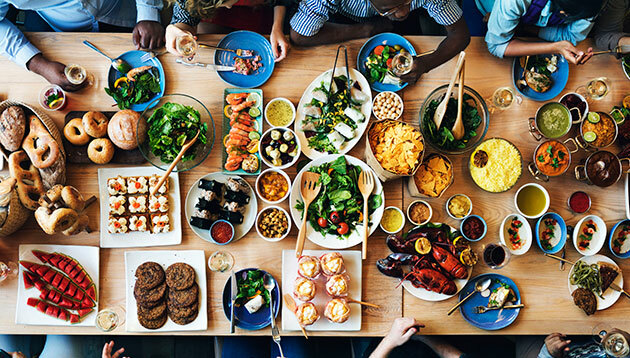 According to Statista global consumer survey, the revenue in the F&B segments amounts to US$399m 2019 in Singapore. The report further added that user penetration is 26.5% this year and is expected to increase to 31.0% by 2023. The survey also revealed that these users belong to the the age group 25 to 34 years old. But to enter and stand out in a crowded F&B market such as Singapore is not easy. Speaking to Marketing, Graham Hitchmough regional chief operations officer of Bonsey Design said that sailing into Singapore on a wave of hype and overseas acclaim can be a “great start” for F&B brands, but he added that it is rarely a guarantee of “sustained success”. With several F&B brands struggling last year, he said that there is very little that is “genuinely new and ground-breaking” for brands to come up with. In addition, consumer loyalty becomes another concern to maintain for these new brands. Brands looking to enter the Singapore market have to consider the differentiation factor that can sell itself here. These can include product delivery methods, marketing and service proposition. However, Hitchmough added that the fundamentals of knowing the core audience and building product, pricing and location strategies “uncompromisingly” around the brand will “still go a long way”. Apart from these, he said that a brand’s story can be woven around quality and integrity of the brand if it brings with it distinctive service or purchase experience across various marketing channels. “Establishing an appropriate loyalty mechanism and building brand partnerships that speak to the target audience can also help to encourage affinity and frequency, as can the development of a relatable and active voice on other issues and causes that are important to them. A great tasting, differentiated product is essential, but it’s just the start of building a great F&B brand,” he explained. Meanwhile, Lawrence Chong, CEO of Consulus said that “trendy” retail F&B business has similarities to the entertainment business. He explained that brands have to read the trends and be prepared to adapt and adopt fast, else lose out. F&B brands also have to realise that managing a good culture for the crew and adapting based on the sales data as well as consumer preferences play a key role in sustaining a business in the F&B industry. Chong explained that the challenge in ensuring longevity in the business is in manpower, leasing and business model. “So long as the business can execute well and it has a good mix of trendy concepts under it, as in a diversified portfolio, if one trend die, one can easily survive with others,” he added. Chong also said that brands looking to enter the Singapore market has to work with a strong local partner with a track record of good execution, diversified retail experiences in good locations and also a good base of staff. Luke Lim, group CEO of A S Louken, added that international brands see Singapore as a “melting pot of culture and a spring board” to regional markets. “We have a cosmopolitan consumers here, ideal for international brands to prove its relevance in Southeast Asia, before making foray to other emerging marketing in the regions. F&B here is highly competitive. If brands do survive here, chances are it will also make it in the region,” he added. John Yan takes on as general manager for Ying Marketing, the business unit that provides marketing planning, campaign development ..
Facebook's search for a Southeast Asia lead has ended with the appointment of Darin Williams who takes over from Stephen Dolan. ..